Giuseppe Zoff warns my colleagues and I, “This is better than heaven.” He presents us with a sample of his “special” flavored yogurt produced at his farm, Azienda Agricola Zoff, in the town of Cormons in the Friuli-Venezia Giulia (Friuli as most refer to it) region of Northeast Italy. “But you must first guess what it is”. “No,” says Laura, Giuseppe’s daughter who is also a part of the family business. “No, but you are getting close”. “Ahhhh,” he says with a grin as he finally reveals the mystery item as a Dolce de Leche flavored yogurt, which turned out to be one of the highlights of our visit to this third generation farm owned and operated by the Zoff family. The property is home to 60 Pezzata Rossa Italian cows where their milk is used to produce yogurts and several types of cheese, including; Ricotta, Latteria, Mozzarella, Caciotta (plain and also several herb covered variations), as well as other products available for purchase in their quaint shop. The surroundings were rustic yet comfortable. But it was the family philosophy that resonated most with me during our visit. Their production methods are all natural, with no additives or chemicals ever used — this includes their practices on the farm and what they feed the cows, which is a mix of dry grass, herbs, and fresh corn, all produced on site. 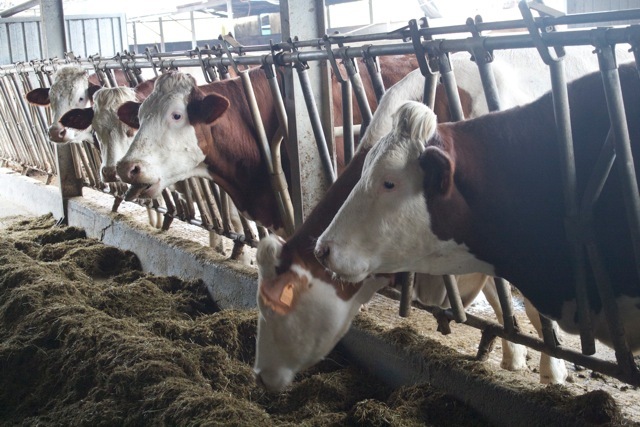 They milk the cows half as often as a typical Holstein cow (approx 20 liters a day vs 50+ liters) and provide them with all natural feed, which creates milk with a higher fat content resulting in a more rich and flavorful milk. Everything is as close to nature as you can get here, and it shows in the flavor of their dairy products. 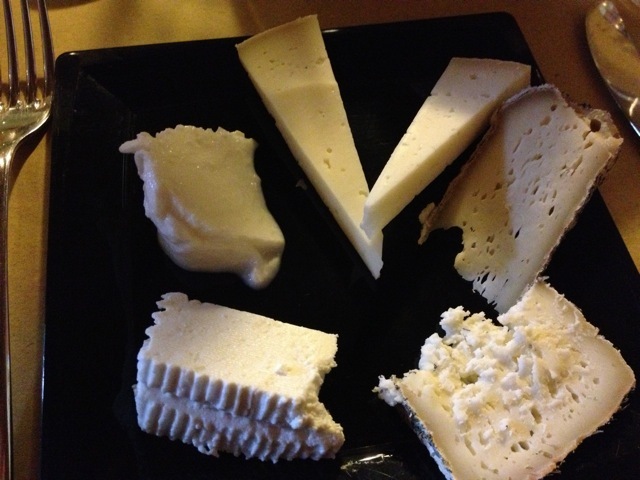 The cheeses are fresh, flavorful, and pure, and the yogurt is rich, creamy, and delicious. The comfortable environment is warm and welcoming, as is the hospitably. As you observe Laura interact and translate for her father his charming personality reveals itself. Family is noticeably important to them. If you have the pleasure of visiting, and I hope you do, I encourage you to inquire about the B&B on site. They offer five comfortably sized rooms for 85 euro per night including a fresh breakfast with foods produced (of course!) on the farm. Though I did not stay overnight there I am confident they would extended the same level of hospitality to all who guest who visit them. 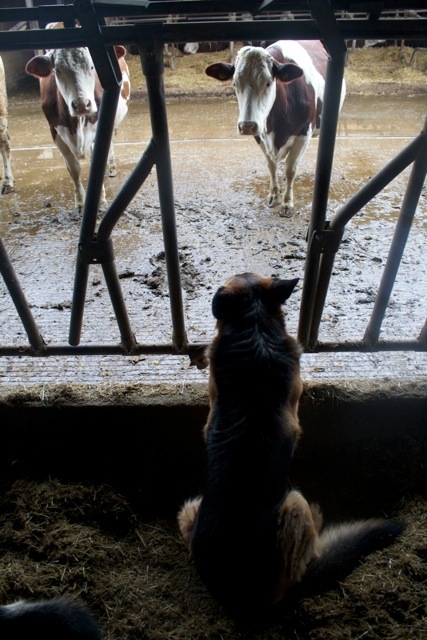 Be aware that it is a working farm — cows live on premise and you may see two lively German Shepherds roaming about. 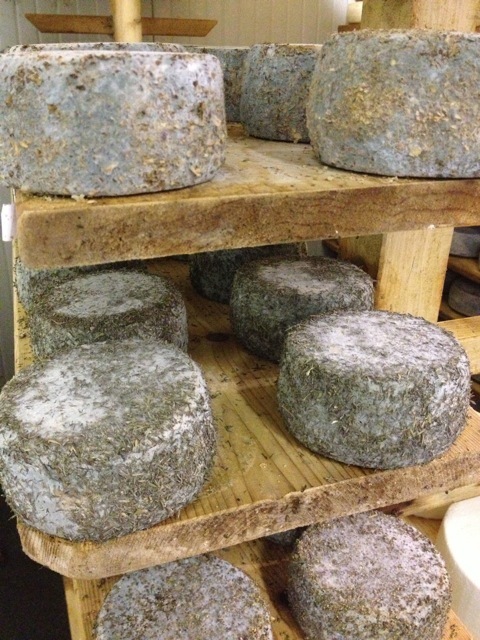 Whether just a quick visit or overnight stay make sure to also taste the different aged Latteria cheese (the local cheese of the area) — the difference in flavor a few months does to each cheese is remarkable. The Caciotta with thyme was another favorite of mine. But above all, don’t leave without trying the creamy and sweet Dolce de Leche flavored yogurt. Your taste buds will thank you! If that isn’t available, the regular plain yogurt is less sweet but just as scrumptious. Thank you to Giuseppe, Laura, and Laura’s husband Fabio for your hospitality, and to the Strada del Vino e Sapori Friuli Venezia Giulia and the iwinetc team for arranging our tour.